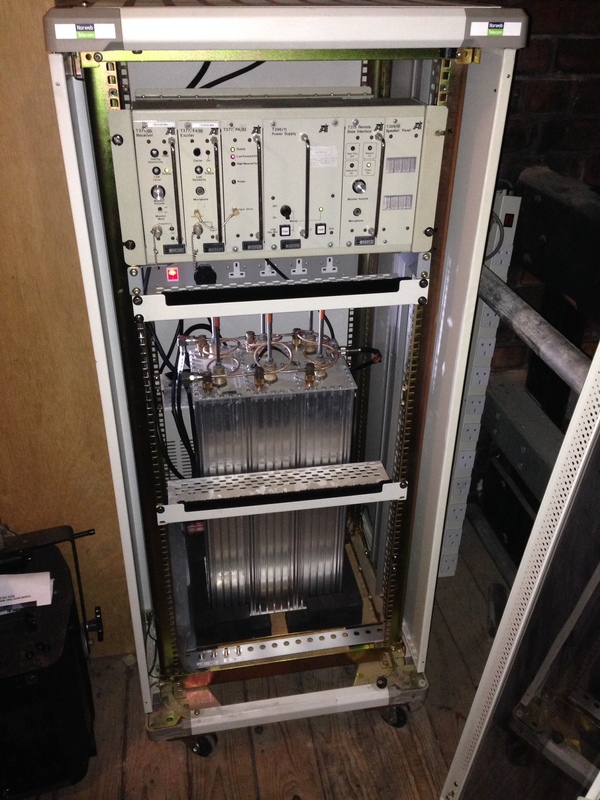 The GB3OA cabinet incorporates a Tait T375 transmitter and T377 receiver at the top, an ICS Linker II logic board is located at the rear of one of the facia plates, and clearly seen at the bottom the Sinclair Q2330E diplexer six-filter set. 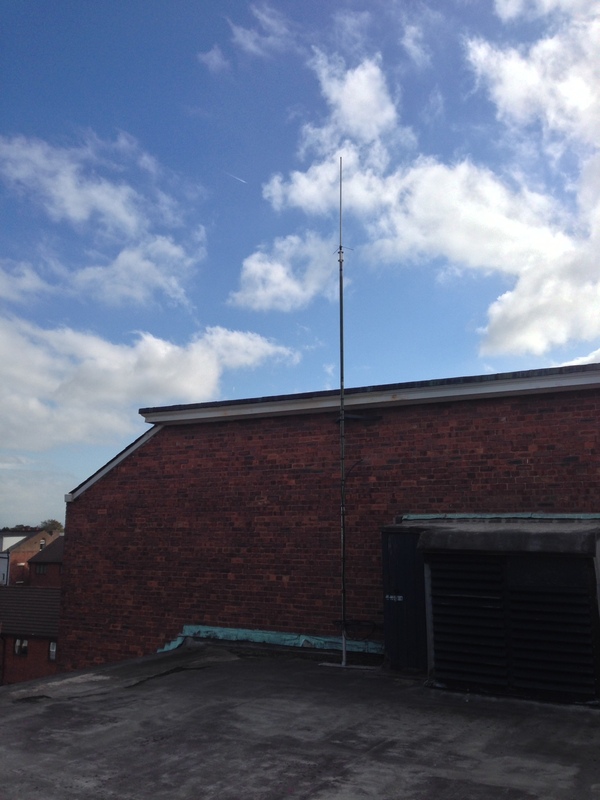 A Diamond X50 aerial is mounted clear of all surrounding buildings, although there is still a slight amount of shadow in some areas of Southport. 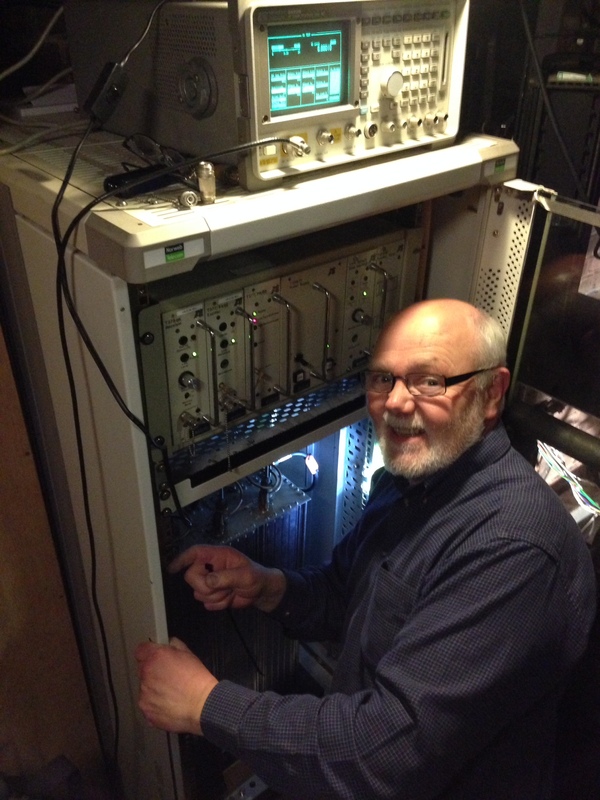 Philip G8XVV giving the repeater a good talking to. You’ve more hair on your chin than your dome Philip – G4LTI said that !